In the past, a musician would learn a piece of music by adjusting the speed of their record player and then methodically practice along with the slower version of the song. 33 RPM brings a little back from a time of LPs and record players, just without the scratches. 33 RPM is an excellent tool to transcribe music, by leveraging the power of QuickTime to provide an easy way to slow down, speed up, and loop your media — all without changing the pitch of the music. But if you enjoy those chipmunk-like voices, 33 RPM also has you covered with independent controls to alter the pitch and speed of your audio. 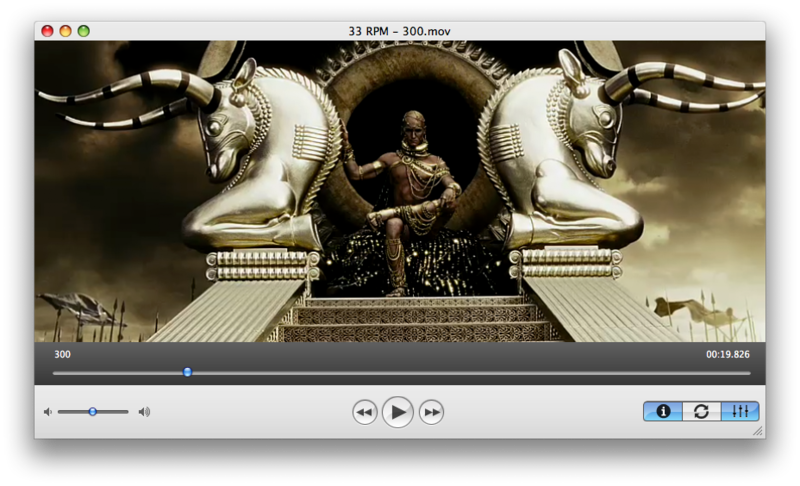 Built off of QuickTime technology, 33 RPM can play the same audio and video formats that QuickTime Player can. 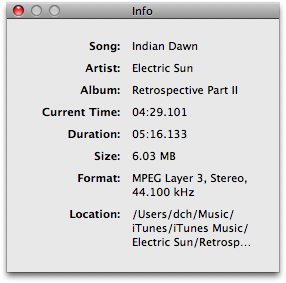 33 RPM also works with the Perian or Flip4Mac WMV Player plug-ins which allows 33 RPM to play Windows Media and Flash files. 33 RPM is all about controlling your media. Independent controls allow you to change either the speed or the pitch without affecting the other settings. 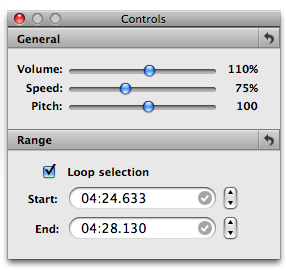 33 RPM shows its flexibility by easily selecting a specific portion of a track and then repeating it. 33 RPM incorporates the functionality of the Apple Keyboard and Apple Remote for additional ways to control how 33 RPM interacts with songs and movies. Mac users expect more out of their programs, so even a clunky inteface can force a person to look for a more Mac-like solution. Since 33 RPM was designed for the Mac, it looks, feels, and acts like a Macintosh application, and not like a program that was ported over from Windows. 33 RPM embraces current Macintosh standards and technologies: QuickTime-compatible playback, automatic updates, ease of use, and a streamlined interface. 33 RPM is now available as a free product. Tested and verified for OS X Lion and Mountain Lion.